Some NPP members within the Fomena Constituency have threatened to beat their party Chairman Akwasi Nti should he campaign for any other candidate than the incumbent within the constituency. Some of them who spoke to ghanagong.com revealed that the constituency is not at peace as far as the NPP is concerned mainly due to the activities of the Chairman. They say if the party structures refuse to punish Akwasi Nti for assaulting the sitting MP, they will not allow him step into the constituency to conduct a rally supporting any other person. 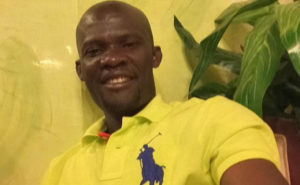 The NPP members who spoke to Joana Somiah of www.ghanagong.com and www.rawgist.com insisted they will oppose him this time around and prevent him from toppling the incumbent MP. They say the current MP is performing marvelously and deserves to be protected. “If they connive to remove this MP, we will support him to contest as an independent candidate or allow the NDC to win the seat”. The NPP in the Fomena constituency has suffered some violence due to wranglings between Executives of the party and members within the constituency.